Here is a manager’s perspective of the conflict. No one likes to be interviewed, and yet no one likes to say no; for interviewers are courteous and gentle-mannered, even when they come to destroy. I must not be understood to mean that they ever come consciously to destroy or are aware afterward that they have destroyed; no, I think their attitude is more that of the cyclone, which comes with the gracious purpose of cooling off a sweltering village, and is not aware, afterward, that it has done that village anything but a favor. The interviewer scatters you all over creation, but he does not conceive that you can look upon that as a disadvantage. Stanley McChrystal? Nope! It was Mark Twain. Two decades or so years ago, when I first came to the USA, not too many people here would have said that cricket was anything but an insect. I bet the situation has not changed much since then. What has changed, though, is that there is something called the internet, the great leveller, something that has flattened the world even. So, here we are, in the 21st century, and now Cricket owns the pride of place on Yahoo’s website. Not only is there a site devoted to it, but it is also uber prominent in that it has found itself a niche outside of Sports. I had observed it before, but today is the first time that I actually clicked on the link. It ain’t bad! Check it out. Ever since Shakira lit up the stage at the World Cup opening ceremonies recently, strains of her songs have been wafting around this home (yours truly being the culprit, for the most part). Katya has inherited the genes of observation from her mother, while Baab has inherited the genes of (non) observation from me, as was dramatized by this episode of what I call a local version of Jaywalking! Katya: … you make a woman go mad. Porcupyn and Mrs. Porcupyn laugh out loudly. Baab (out of earshot until that point): What was funny? What was SO funny? Porcupyn: I was humming something and Katya completed it for me. Baab: You make your mother go mad!!! On a recent journey into blogs, I came across a reference to this article written by expat Americans living in Delhi (that is Delhi, India, not Delhi, NY or Delhi, LA) about how they became tourist attractions for middle class Indians. Having been one of those middle class Indians who had barely seen a handful of foreigners throughout my entire life in India, I could understand exactly what the blogger was talking about. 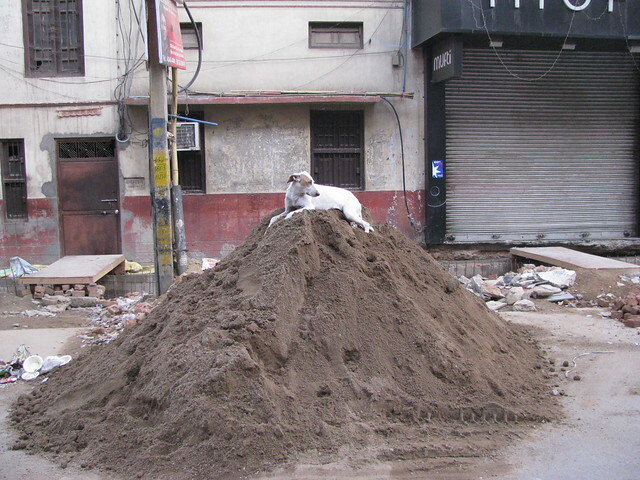 That said, I wanted to share what I saw on our recent trip to India (Red Fort, to be specific). 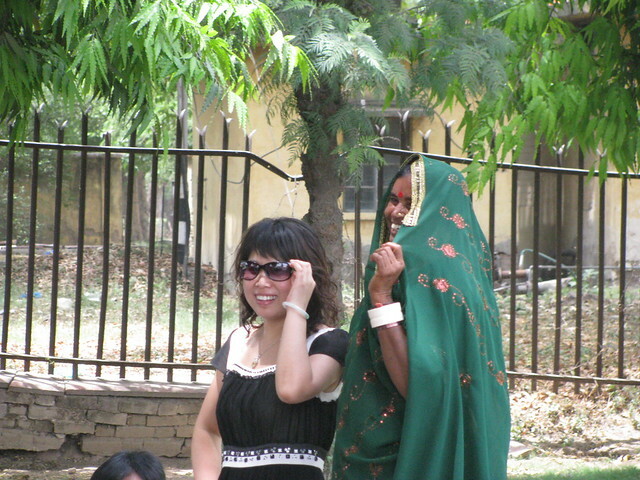 There was this oriental lady who wanted to get a picture with a local lady, who was absolutely photo-shy. While the coaxing was going on, I managed to unobtrusively take a picture of my own (though, like the blogger did, I should have taken the time to go and ask them for permission!). 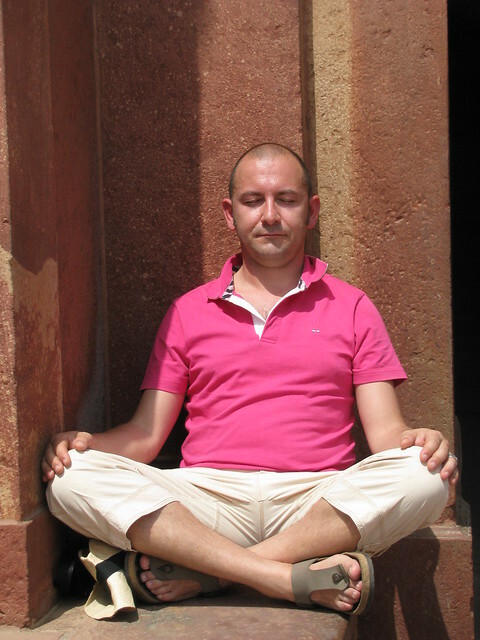 Then there was the time when we were in Fatehpur Sikri. We were just following our guide around when I came about this dude who was sitting still like the Buddha. I took a picture immediately (of course). Immediately, his two companions approached me and said “50 Rupees please!” For a moment or two, I was speechless and flabbergasted! Then I realized they were joking (I hope!) and we all burst out laughing. Bottom line, the touristy behaviour cuts both ways. Whatever a human does not see often is something that he or she wishes to keep a keepsake of, in one way or the other. Sometimes the souvenirs come in the form of a picture postcard and sometimes it is in the form of photos with the kind of people you don’t normally see in your daily life.